Swedish period drama Vår Tid är Nu (The Restaurant) begins in 1945 with celebrations to mark the end of the Second World War. At Djurgårdskällaren, a high-end restaurant run by the Löander family in the heart of Stockholm, oldest son Gustaf (played by Mattias Nordkvist) has managed to keep the restaurant afloat by somewhat dubious means and intends to carry on down that path. But when middle son Peter (Adam Lundgren) returns home from the war, he discovers changes are needed to keep the business from bankruptcy. Meanwhile, a brief encounter with kitchen hand Calle (Charlie Gustafsson) leads to untold consequences for daughter Nina (Hedda Stiernstedt), who has designs on opening a nightclub in the restaurant banquet hall. 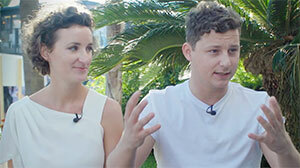 In this video, stars Hedda Rehnberg (Suzanne) and Gustafsson reveal how the mix of drama and comedy drew them to the project, which has filmed two seasons and has been recommissioned for a third. They also describe the “bold” decision made by broadcaster SVT to heavily invest in an epic period drama that charts the growth of the Swedish welfare state and discuss why it stands out against the ever-popular Nordic Noir crime series. The Restaurant is produced by Jarowskij for SVT and Viaplay and distributed internationally by Banijay Rights. 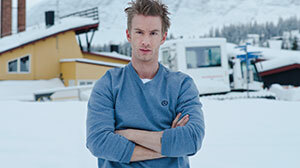 This autumn, Swedish pubcaster SVT is serving up what it describes as one of its biggest drama productions ever. DQ hears from head writer Ulf Kvensler and director Harald Hamrell as they prepare to launch Vår tid är nu (Our Time is Now), known internationally as The Restaurant. But when Swedish pubcaster SVT describes its forthcoming period drama Vår tid är nu (Our Time is Now) as one of its biggest drama productions ever, this is no understatement. In fact, the series, which has been renamed The Restaurant for international audiences, is as brave, bold and ambitious as they come. A sprawling ensemble drama that opens in the aftermath of the Second World War and runs across two decades, it is an emotion-filled family saga that charts the fortunes of the owners and staff of Djurgårdskällaren, a high-end restaurant in the heart of Stockholm. It could also be described as a state-of-the-nation drama, but one that examines contemporary Swedish society from the perspective of the post-war years and through the emergence of the country’s welfare state. Recognising the potential scope and scale of the project, SVT gave the show an initial 20-episode order, to be split across two seasons that will air this autumn and in 2018. Season one begins on Monday, October 2. The Restaurant is created by head writer Ulf Kvensler, Malin Nevander and Johan Rosenlind, with the latter initially developing the series based on his own experiences in the restaurant business. 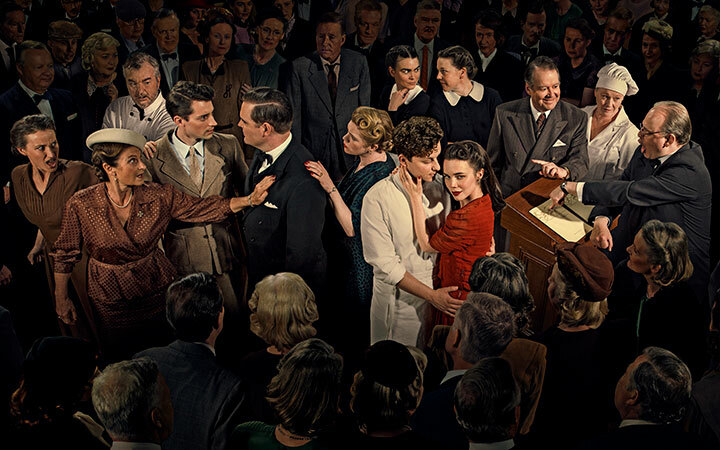 SVT found a lot to like in the premise, as the network happened to be looking for a show both about a restaurant and one that could dramatise the growth of the welfare state after WW2. “So this project was spot on,” Kvensler says. “They asked me if I wanted to work on one of the biggest Swedish drama projects ever, which is going to follow characters over 25 years and talk about how the Swedish model of society came into being and, of course, I said yes. The series begins in 1945, with the opening scenes taking place during confetti-covered street celebrations as news spreads throughout Stockholm that the war has ended. By the end of season two, events will have moved forward to 1962. A potential third and final season would then continue the story between 1968 and 1971. The family in question is the Löwanders. Oldest son Gustaf (played by Mattias Nordkvist) has managed to keep the restaurant afloat by somewhat dubious means and intends to carry on down that path. But when middle son Peter (Adam Lundgren) returns home from the war, he discovers changes are needed to keep the business from bankruptcy. Meanwhile, a brief encounter with kitchen hand Calle (Charlie Gustafsson) leads to untold consequences for daughter Nina (Hedda Stiernstedt), who has designs on opening a nightclub in the restaurant banquet hall. As the family descends into conflict, matriarch Helga (Suzanne Reuter), with assistance from head chef Backe (Peter Dalle), watches over the family business. 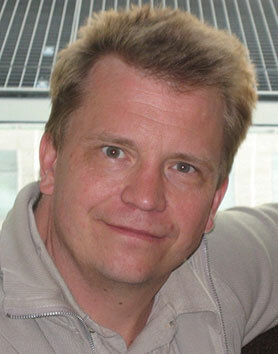 The series is produced by Jarowskij, in partnership with SVT, Viaplay and Film i Väst. It is distributed by Banijay Rights. After joining the project, Kvensler identified Calle, originally given a tiny role, as the potential hero of the story, who could work his way up from underappreciated kitchen hand to open his own restaurant. 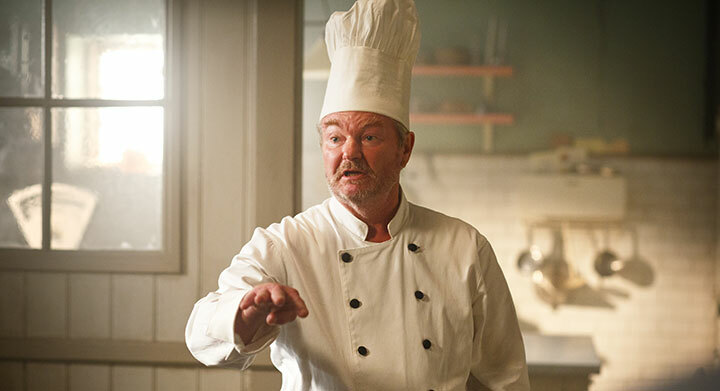 He worked alongside fellow directors Molly Hartleb in season one and Anna Zackrisson and Andrea Östlund in season two, and says his aim was to make a modern drama, despite The Restaurant’s post-war setting. The budget afforded him the chance to build the restaurant and kitchen sets across several hundred square metres, which gave him the space he needed to keep the camera work looking fresh across 20 episodes. The set also embodies class boundaries in 1940s society, with the working class confined to the kitchen while the wealthy and powerful enjoy fine dining yards away in the opulent surroundings of the restaurant. The biggest challenge, however, both on set and in the writers room, was figuring out how to seamlessly advance the story across several years without alienating the audience. For Hamrell – who was the conceptual director on Äkta Människor (Real Humans), the inspiration for Channel 4/AMC sci-fi series Humans – the task of keeping his cast on their toes for 276 shooting days meant he could never let them relax. Time jumps were something Kvensler had never previously had to content with in a series. In one case, four years pass between two episodes in season one. “The challenge then is when you come back [after the jump], you need to tell the audience what has happened, and that bogs down the episode for the first two acts,” he says. “The other thing is it’s been four years, so you want something to have happened. You don’t want the feeling that, ‘OK, they say four years have passed but this could have happened the next week.’ So finding the balance between that has been really tough. It’s been always the episodes that have come after the time jump that we’ve had to work on the most. Perhaps the biggest time jump the series makes is one to the present day, as both Hamrell and Kvensler draw parallels between post-war Sweden and contemporary society. 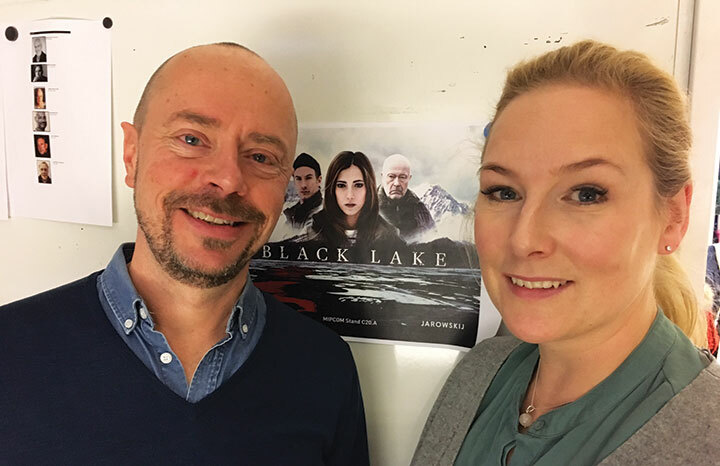 “We have challenging times now, there’s a lot of uncertainty,” notes Kvensler, who developed The Restaurant alongside another SVT drama, snow-covered thriller Svartsjön (Black Lake). “In Sweden, the discussion we are having is can the welfare state we have survive? I think a story like this can bring a little hope because if you go back to 1945, you can see it was a much harder society and a lot of people lived rougher lives.